This is my first working printed circuit board. I used the toner transfer method to draw the traces on the copper board. 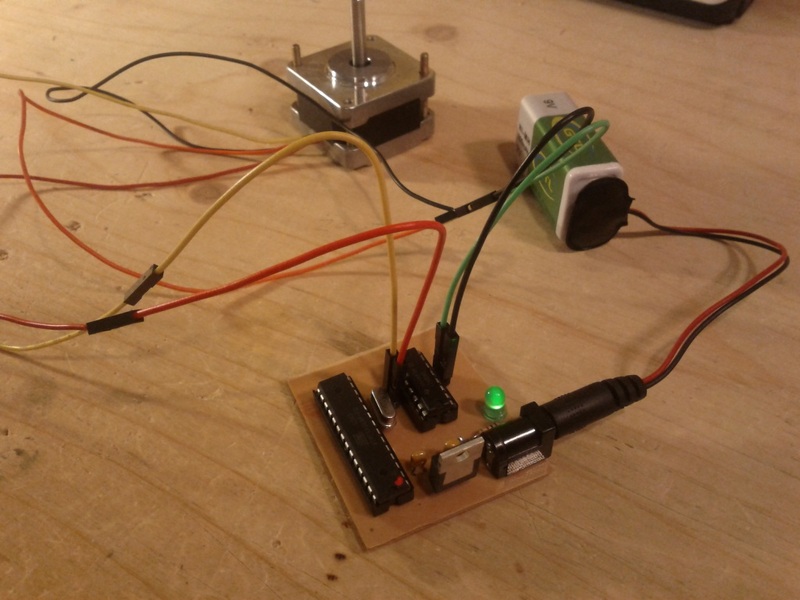 The purpose of this circuit board is to drive a stepper motor. This is a proof of concept for the final board version that will complete my equatorial mount project. The equatorial mount will be my first project in my new “Projects” section. I will begin with the conception and the making of this board. I have designed the PCB using Fritzing, an open source circuit designer. You can find the project and the PDF of the circuit on my github. More details to come in the Projects section … hopefully in a few days. I had a bit of troubles soldering the power connector because I drilled the holes too large. I’ll have to renew my stocks of small drill bits … I broke two 1/32″ bits while doing this board!